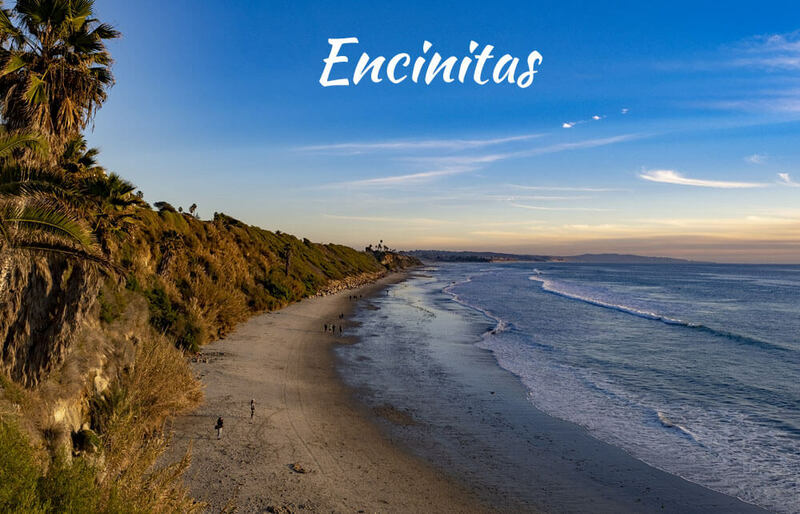 Along the coast – about a half an hour north of San Diego is the picturesque city of Encinitas. 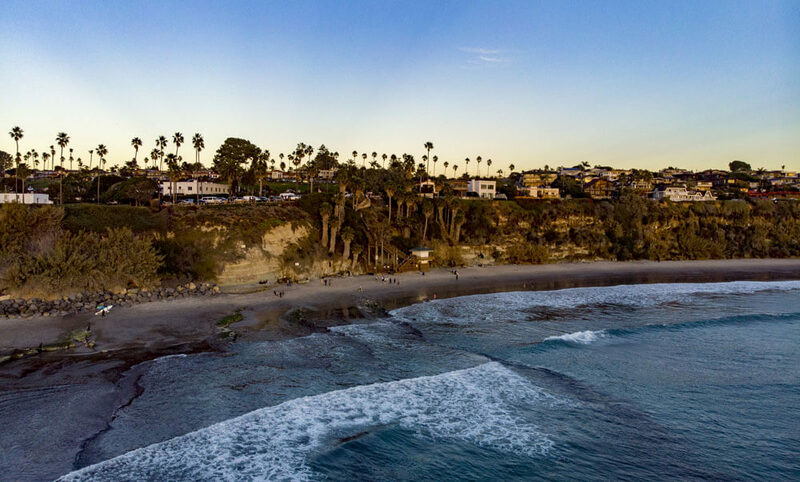 Unlike Laguna and other communities along southern California’s beautiful coastline, Encinitas came across as being uniquely laid-back, maybe even a bit sleepy – which might have been due to the time of year we were there (winter). 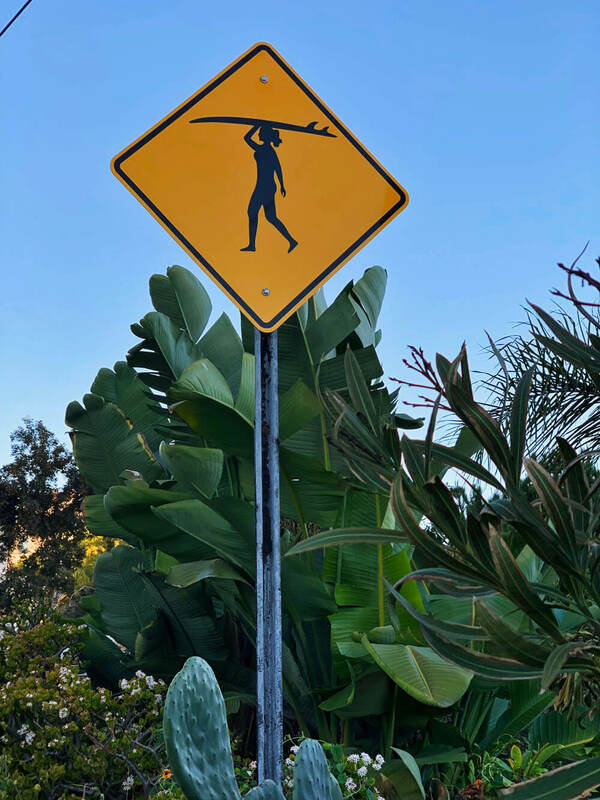 We visited in January 2019 and fell immediately in love with the relaxed atmosphere, all the different beaches to choose from, the availability of year-round surfing as well as the location of the motel we stayed at, Surfhouse, in the Encinitas neighborhood of Leucadia along the North Coast Highway 101. 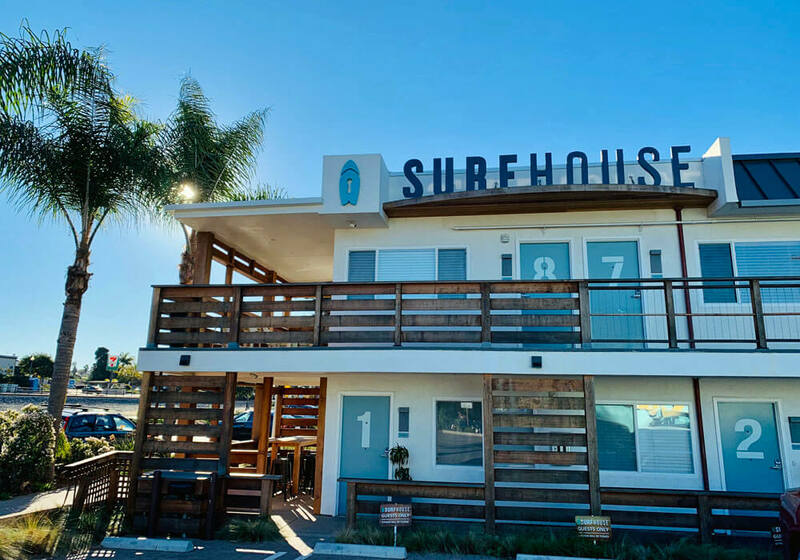 Surfhouse calls itself a hotel, but that’s just marketing. Don’t get me wrong, it’s a really nice place but offers none of the typical amenities you’d expect from even a simple hotel. As one might suspect, Surfhouse caters to vacationers that enjoy a bit of surfing while in town. The motel was completely renovated a couple of years ago by new owners (two local brothers) and has a few different room types. Our room on the ground floor was a bit small for us, but had actually been adequate enough if we’d only been two and not three adults sharing it. I haven’t slept in a bunkbed for many decades but found it surprisingly easy to get accustomed to. There wasn’t a lot of storage space in the room, but the shower was generously large and made it perfect when peeling off my wetsuit after each surf session. Each room comes equipped with earplugs for guests that don’t fully enjoy the sound of the nearby coastal commuter train that shoots by quite frequently. 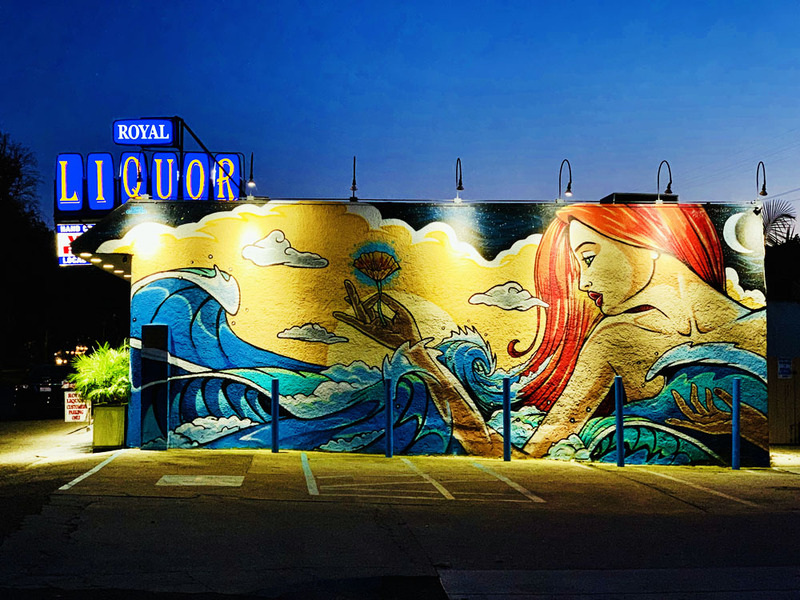 For those that don’t bring their own, the motel offers a selection of decent boards in varying sizes that you can rent for a reasonable daily rate. Wetsuits are included. You can borrow the motel’s three beach bikes for free. From Surfhouse to the nearest surf spot, Beacon’s Beach, is just a short walk up a pretty steep hill and then down an even steeper set of dirt stairs that lead directly to the beach and a reef break beyond. 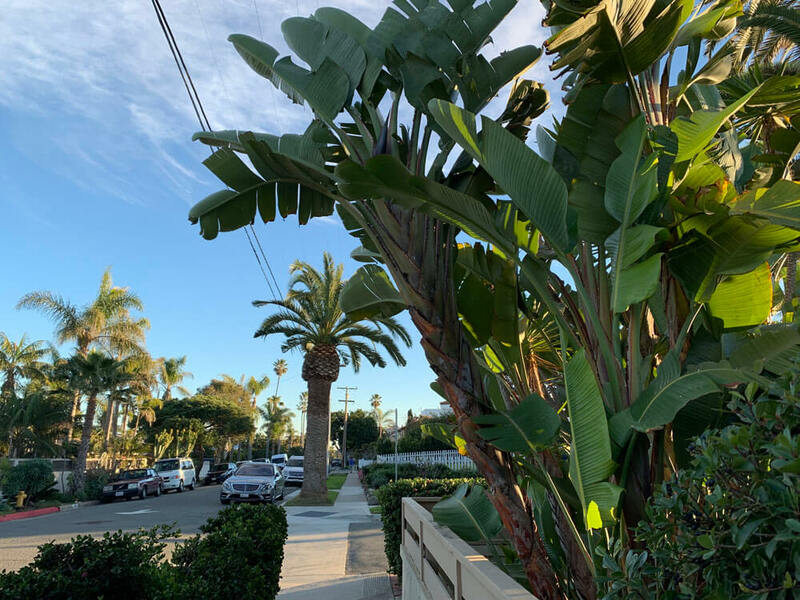 The sea view from the top of the stairs is spectacular and walking along Neptune Avenue (in either direction) with a seemingly endless row of gorgeous homes, is enjoyable – even if architecture isn’t among your top interests. 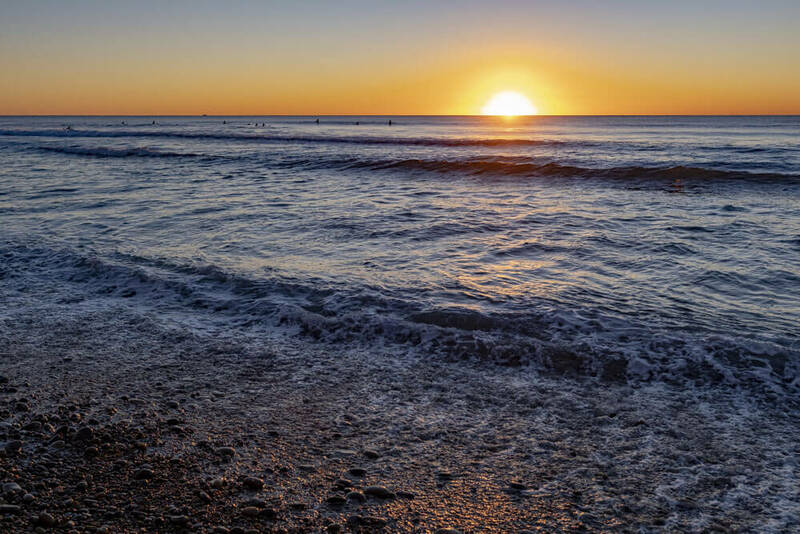 For those of us that prefer a nice sandy beach break with consistent sets of small to medium sized waves, I recommend choosing Moonlight Beach which is only a five minute drive south on North Highway 101. Hang a right on B Street and it will take you all the way down to the Pacific Ocean and nearby parking spaces. 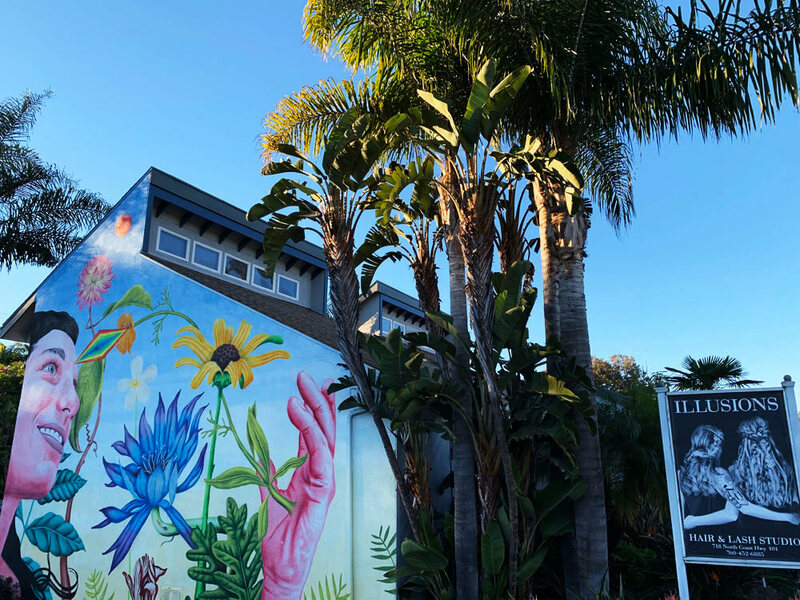 On Highway 101, starting at the big hanging Encinitas sign, you’ll find several restaurants, cafés and boutiques with a very local vibe. The fully vegan restaurant Eve offers great food and most dishes are served in huge portions. So sharing here is recommended. 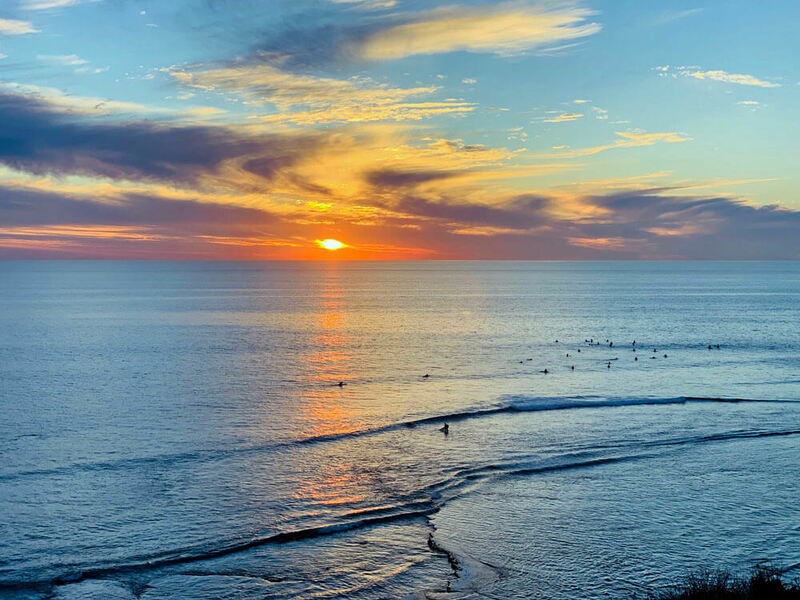 Watching a sunset at Swami’s Beach, just a little bit further south down Highway 101 – on the outskirts of Downtown Encinitas – is definitely a must-see. It’s a popular reef break among local and visiting surfers alike. 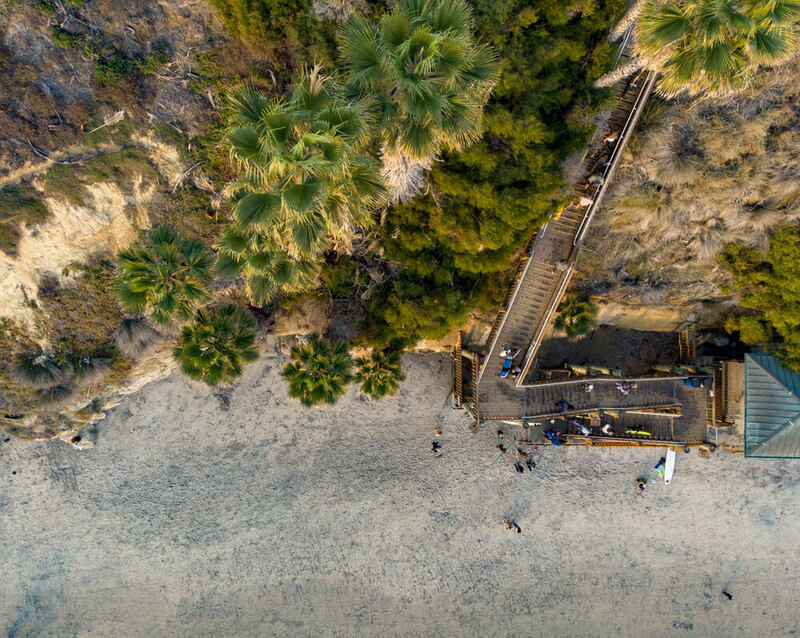 And the stairs leading down to the beach are usually packed with sunset worshipers. 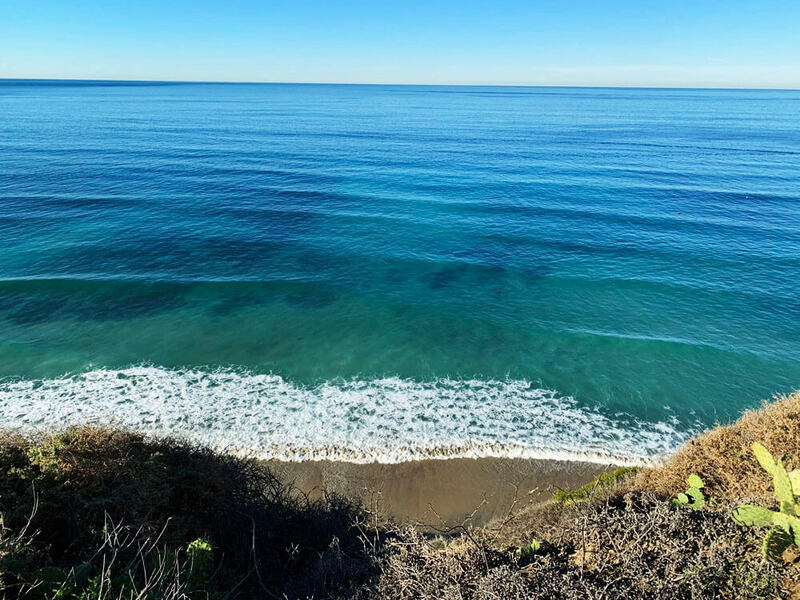 Southern California has a lot to offer even during the winter months. It’s usually sunny and at least for a northern European like myself, or, for visitors from the east coast of the US, it’s comfortably warm. 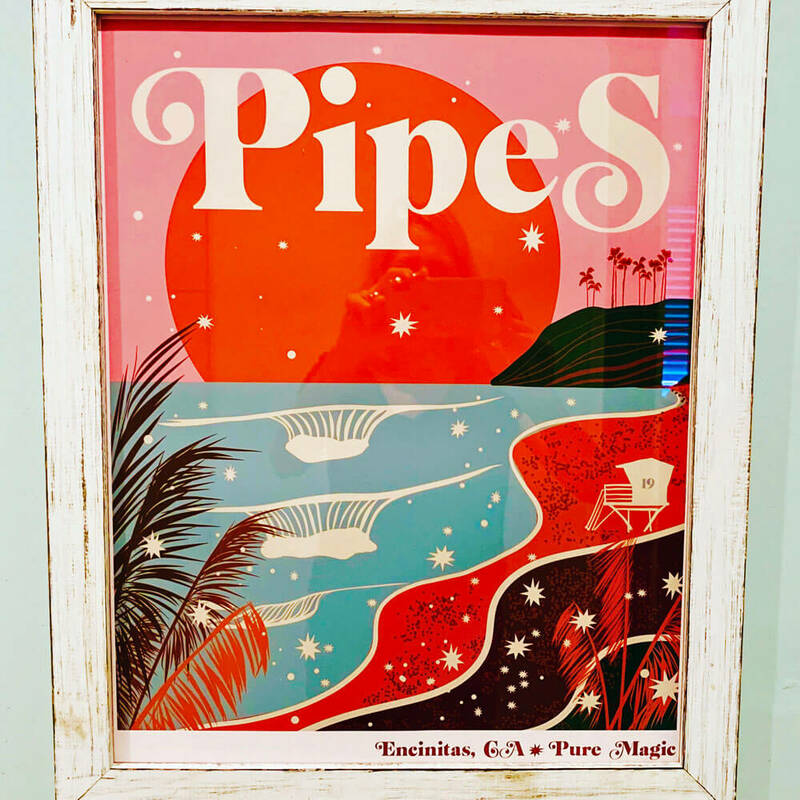 And as airfare and accommodations tend to cost less during what is considered California’s off-season, a weeklong surf vacation in Encinitas might just be the perfect winter getaway. 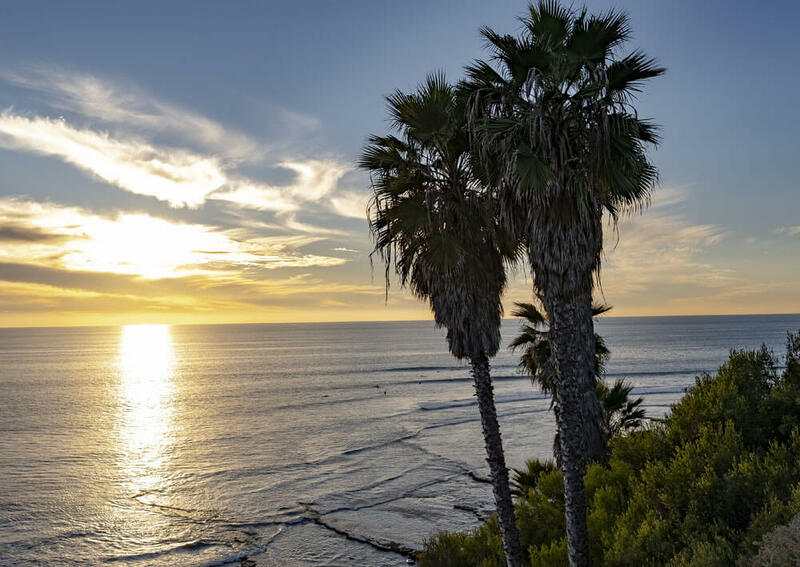 Live the laid back lifestyle of Southern California. 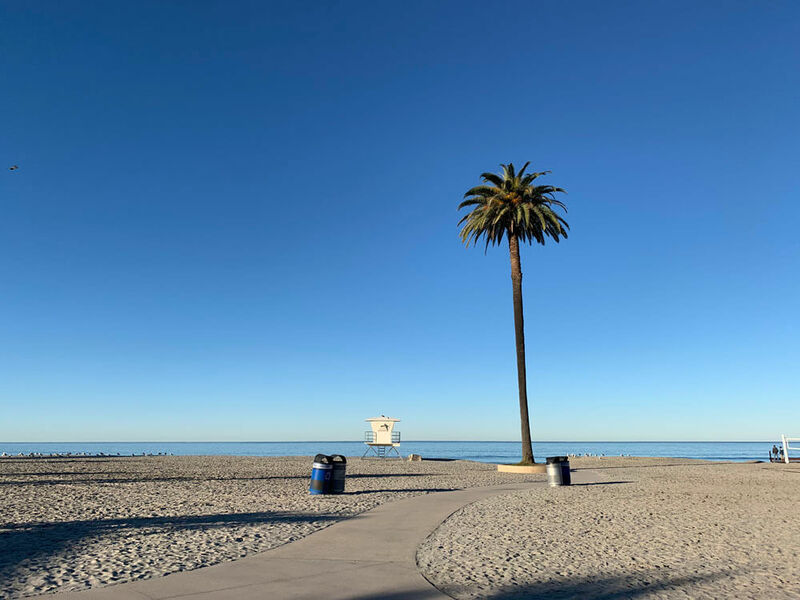 The beautiful weather paired with the panoramic beach views puts all the zen back in your life. Time is not a thing while you’re here. Surfhouse, the modern boutique hotel offers eight thoughtfully designed rooms with beach inspired décor and are all named after local iconic surf breaks.